Local secondary schools and the Local Safeguarding Children Board member organisations have been helping us raise awareness of CSE among children and young people, their parents and carers. Our ongoing local campaign is being coordinated by the LSCB and South Gloucestershire Council. Research shows that any child or young person can become a victim, at any time – boys or girls, whatever their background, age, gender, race or sexuality, and wherever they live. • the characteristics of all sorts of relationships (romantic, family, friendships), including mutual respect, truthfulness, trustworthiness, loyalty, trust, sharing interests and experiences and support with problems and difficulties. • that healthy relationships (and friendships) are positive and welcoming towards others, and do not make others feel lonely or excluded. • the importance of permission-seeking and giving (consent) in relationships with friends, peers and adults. To mark Child Sexual Exploitation Awareness Day, primary and secondary school Designated Safeguarding Leads (DSLs) will receive an email from the LSCB, pointing them to the specially created resources on this page, to help you prepare for and run a group/class session or assembly after the Easter break. 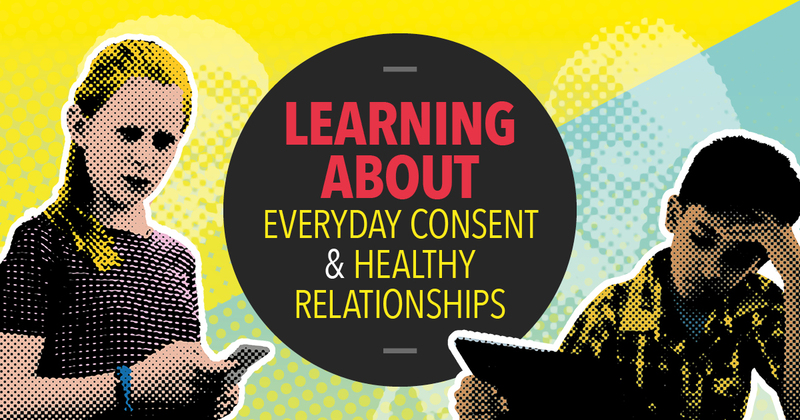 This follows feedback from the 2018 campaign resources for secondary schools, asking for more age-appropriate resources for younger children, focusing on ‘everyday consent’ and healthy relationships. All the year 6 & 7 campaign materials for schools and professionals are included on this page to download and print, including the presentation with notes to help you prepare a group/class lesson or assembly, posters to display in school (you will need to add the contact names/details for your school so that children know who to talk to and/or what to do if they have any worries) and a toolkit that includes suggested text and images you can use to communicate with parents and carers through your school channels. Please also share and like the social media posts that the council and the Local Safeguarding Children Board will be issuing on Monday 18 March: see www.facebook.com/sgloscouncil and www.twitter.com/sgloscouncil. We hope you find the lesson/assembly plan, toolkit and supporting materials useful. Please remember to feedback to us once you’ve used the resources, using the form provided.